2017-18 SEASON: Appeared in 75 games (36 starts) with Orlando, averaging 10.2 ppg., 3.8 apg. and 2.1 rpg. in 23.5 minpg., while shooting a team-high .419 (114-272) from three-point range and a team-high .868 (164-189) from the free throw line…As a starter, averaged 11.7 ppg., 5.0 apg. and 2.5 rpg. 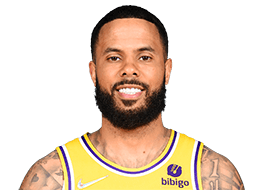 in 27.5 minpg.…Tied for 14th in the NBA in free throw percentage and tied for 16th in three-point field goal percentage…Led (or tied) the team in scoring twice and in assists 25 times…Scored in double figures 38 times, had 20+ points three times and 30+ points once, including a season-high 32 points on Mar. 14 vs. Milwaukee…Hit the game-tying three-pointer to force overtime with 6.2 seconds left on Dec. 6 vs. Atlanta…Dished out a season-high 10 assists three times, the last time on Mar. 24 vs. Phoenix…Had two double-doubles…Pulled down a career-high-tying nine rebounds on Mar. 24 vs. Phoenix…Recorded at least one steal 35 times and had two-or-more steals 13 times…Appeared in his 700th career NBA regular season game on Feb. 12 @ Chicago…Recorded his 400th career NBA steal on Dec. 9 @ Atlanta…Missed seven games (Nov. 3-15) due to a strained left hamstring. 2009-10: Appeared in 80 games (two starts) with Charlotte, averaging 6.4 ppg., 2.4 apg. and 1.2 rpg. in 18.4 minpg….Also played in four postseason outings, averaging 4.3 ppg., 1.8 apg. and 1.0 rpg. in 18.3 minpg….2008-09: Played in 72 games (12 starts) during his rookie campaign with Charlotte, averaging 11.8 ppg., 3.5 apg. and 1.8 rpg. in 26.5 minpg., while shooting .439 (108-246) from three-point range and .893 (208-233) from the free throw line…Named to the NBA All-Rookie Second Team…Ranked sixth in the NBA in free throw percentage and tied for ninth in three-point field goal percentage…Ranked among all NBA rookies in free throw percentage (first), three-point field goal percentage (second), assists (fourth), scoring (eighth) and minutes played (ninth)…Led (or tied) the team in scoring 11 times and in assists 11 times…Scored in double figures 38 times and 20+ points ten times…Set a team record with 11 points in an overtime period on Jan. 6 vs. Boston…Dished out 10+ assists three times…Recorded his first career double-double with 25 points and 11 assists on Nov. 24 vs. Philadelphia…Set a franchise record with 42 consecutive free throws made from Nov. 6-23. CAREER TRANSACTIONS: Selected by Charlotte in the first round (ninth overall) of the 2008 NBA Draft…Signed as a free agent by Indiana (Jul. 12, 2012)...Signed as a free agent by Toronto (Jul. 22, 2013)…Waived by Toronto (Dec. 9, 2013)…Signed as a free agent by Chicago (Dec. 13, 2013)…Signed as a free agent by Detroit (Jul. 15, 2014)…As part of a three-team trade, traded from Detroit along with Kyle Singler and a second round draft pick to Oklahoma City; Oklahoma City also acquired Enes Kanter and Steve Novak; Detroit acquired Reggie Jackson; Utah acquired Grant Jerrett, Kendrick Perkins, Tibor Pleiss, a protected first round draft pick and a second round draft pick (Feb. 19, 2015)…Traded from Oklahoma City along with Steve Novak, two second round draft picks and cash to Denver in exchange for Randy Foye (Feb. 18, 2016)…Signed as a free agent by Orlando (Jul. 7, 2016). Played in 73 games during two seasons at the University of Texas, averaging 16.9 ppg., 6.2 apg. and 2.9 rpg. in 36.5 minpg., while shooting .402 (119-296) from three-point range and .808 (323-400) from the free throw line…In only two seasons, ranked fourth in school history in three-point field goal percentage, fifth in assists (452), ninth in free throw percentage and 18th in scoring (1,234 points)…As a sophomore (2007-08), played in 38 games, averaging 19.2 ppg., 5.8 apg. and 2.9 rpg. in 37.3 minpg., while shooting .381 (74-194) from three-point range…Earned consensus first-team All-American honors and First Team All-Big 12 honors…Led the Big 12 in assists and ranked second in scoring…Also named a First Team Academic All-American, becoming just the 15th player in NCAA history (since 1962-63) to earn both First Team All-American and Academic All-American honors during the same season…Received the Bob Cousy Award as the nation’s top point guard and was a finalist for the Naismith and Wooden Awards…Scored 20+ points 19 times and dished out 10+ assists four times…As a freshman (2006-07), appeared in 35 games, averaging 14.4 ppg., 6.7 apg. and 2.8 rpg. in 35.6 minpg., while shooting .441 (45-102) from three-point range and .838 (150-179) from the free throw line…Named Second Team All-Big 12 and a consensus Freshman All-American…Led the Big 12 and ranked fourth in the nation in assists…His 233 assists were the fourth-best single season in school history and 10th-best in conference history…Also led the team in three-point field goal percentage and ranked third in scoring. ONE-ON-ONE: Full name is Darryl Gerard Augustin, Jr.…Last name pronounced august-teen…Parents nicknamed him D.J. (for Darryl Jr.) at birth…Has two older sisters…Spent his first three years of high school at Brother Martin in New Orleans, before being forced to relocate to the Houston area due to Hurricane Katrina…Holds an annual basketball camp during the summer in Houston…Served Thanksgiving breakfast to residents at the Coalition for the Homeless in 2016…After playing his senior season at Hightower High School, returned to New Orleans to receive his high school diploma from Brother Martin…Named a McDonald’s All-American in 2006…Plays the drums.